Rebranding Edge of Tomorrow to Live. Die. Repeat. Edge of Tomorrow was received with unanimous praise yet not so encouraging box office numbers. Some believed it to be the title and others believed it to be the marketing in general. It looks like Warner Brothers is fully embracing the name change, which they also started during it’s theatrical run but not soon enough, by completely changing it on the Blu Ray release. On the cover the words “Live. Die. 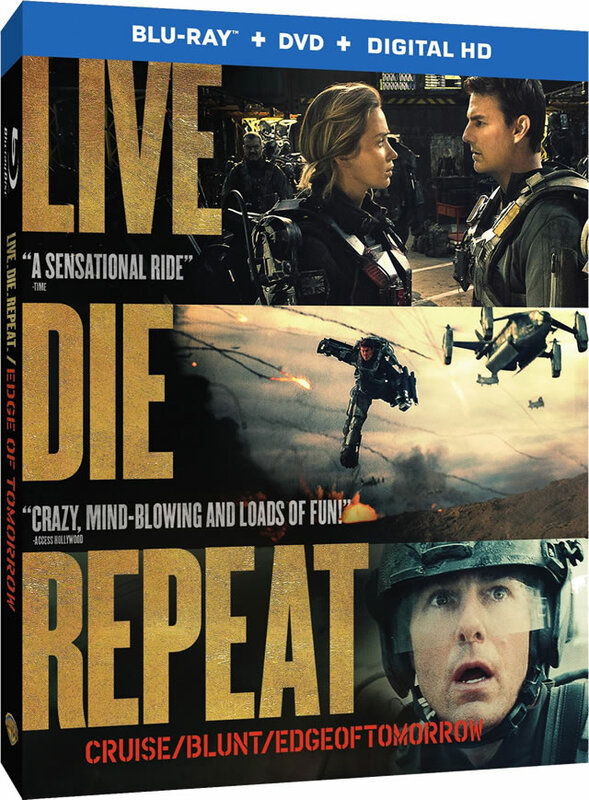 Repeat” are shown taking up the entirety of the cover while at the bottom it reads “Cruise/Blunt/EdgeofTomorrow”. iTunes seems to be embracing it just as much by releasing it as Live. Die. Repeat./Edge of Tomorrow. To me it seems completely weird to all of the sudden change the name to something completely different. It didn’t have the best of titles originally but instead of naming it that they should have called Live. Die. Repeat. the entire time because it works well with the movie and describing whats going on without giving anything away. I liked this movie better than other movies this summer, simply for it originality and not some boring sequel that doesn’t impress. The new title is interesting but the time and place that it changed is much more interesting than the announcement of the Blu Ray. Warner Brother and Legendary Pictures announced today that Godzilla 2 has secured the release date of June 8, 2018, 4 years after the widely popular remake that was released in May of this year. It was teased at Comic Con this year that Gareth Edwards plans on including Mothra, Rodan, and King Ghidorah. 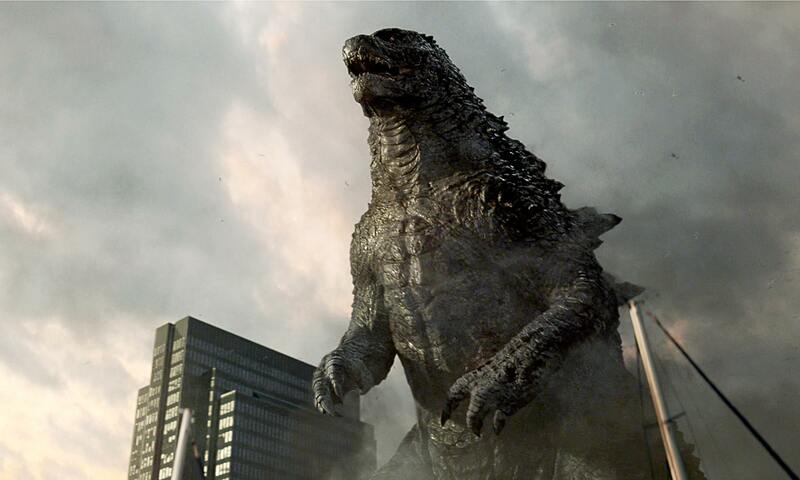 Legendary also teased the possibility of a crossover film between Godzilla and King Kong. Though the remake of Godzilla was extremely flawed I have high hopes for any sequels. It seems that Legendary and Warner Brothers are attempting to milk the cow for all it’s worth. 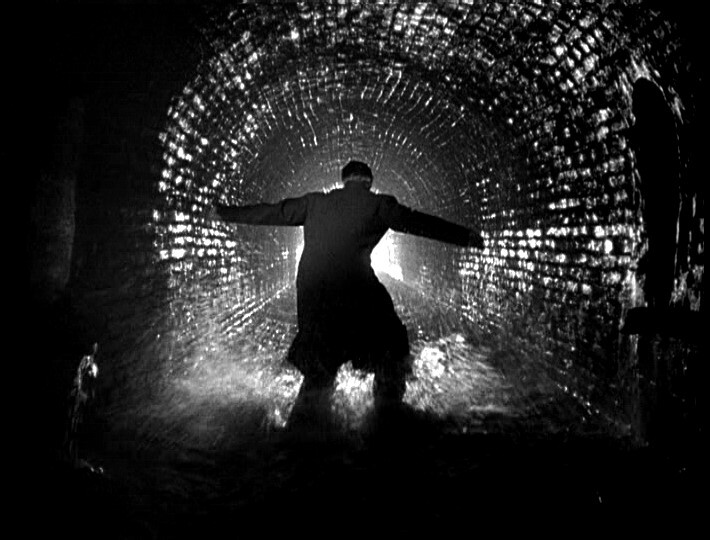 Now matter the film property, studios are always going to try and franchise any of them, it’s the name of the game. Marvel has created a shared universe and it seems that even Godzilla, King Kong, and hell even Pacific Rim has been teased to become all part of a shared universe. I think this ruins any possibility to have creativity or originality but only the possibility to gain money no matter what.